How many tape runs shall I use? What spacing will I make my posts? What colour tape shall I use? What type of post shall I use? What type of line insulator will I use? 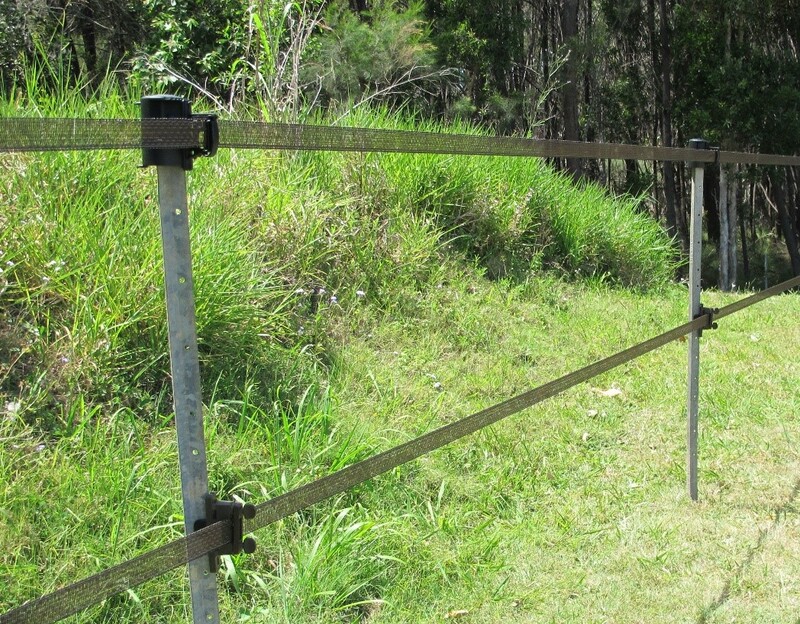 We recommend a maximum of 5m between posts or star pickets. If you are in a particularly windy environment, we do recommend bringing this spacing down to 4m. 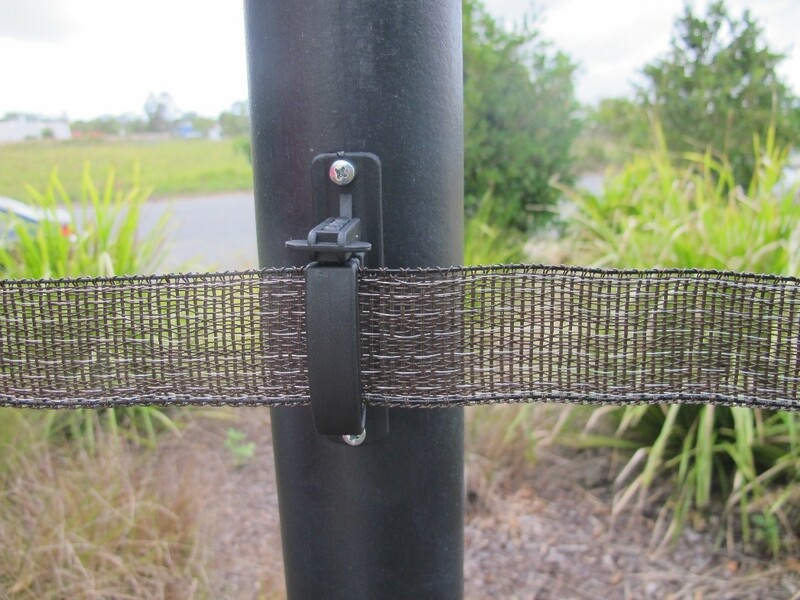 StockGuard comes in 3 different colours for the tape and most of the fittings. They are exactly the same, just the colour is different. It really depends on your aesthetics which one you would like to use. 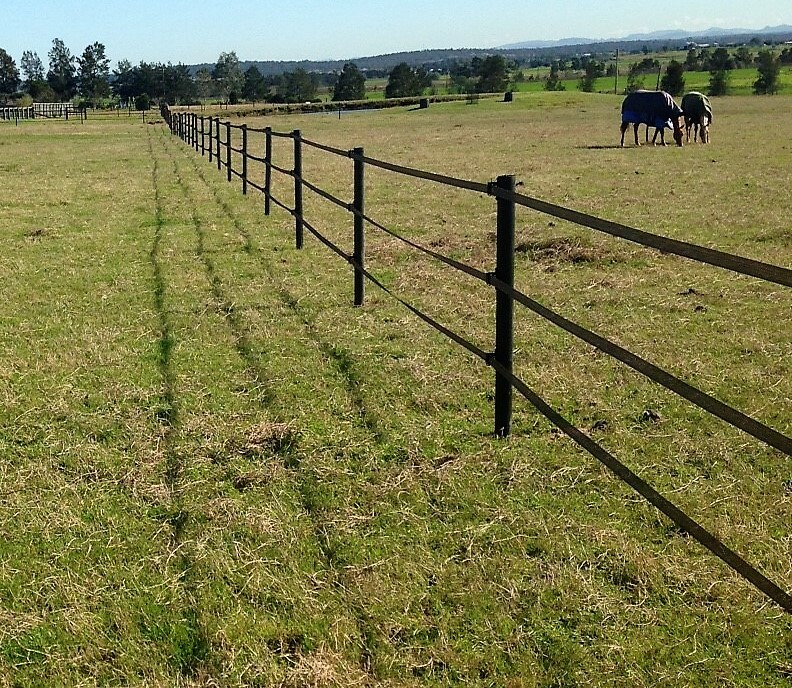 The only thing we do often tell people is that you will have this tape in your paddocks for a long time (given the StockGuard 25 year guarantee on the tape) and the white tape is prone to getting grubby long before the green or brown! Post type really comes down to your personal preference and what you have avilable. 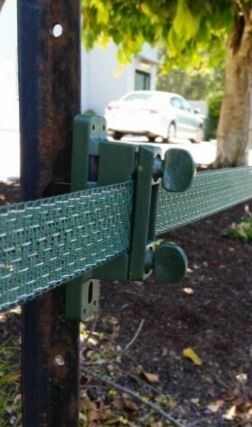 StockGuard does not sell the posts themselves, but we do have fittings for both wooden and woodshield posts, as well as bare and poly covered star pickets. Image 5: An example of Woodshield Posts. Click here for more examples. As with the wooden posts, the most common line insulator that our customers prefer for woodshield posts is the F8 (see Image 1). These can be matched to the colour of the tape you have chosen. The F8 is secured to the wooden post with 2 screws (provided) that just need a cordless drill. 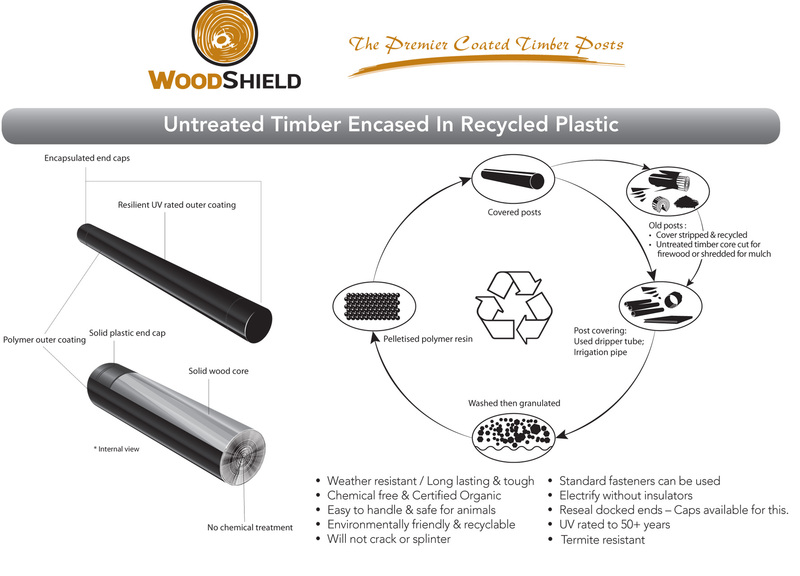 Click here to see a spec sheet for Woodshield Posts. Again, there are 2 alternatives to this coloured fitting, the CR40 and F16V (see Image 3 and 4) however, they both only come in black. 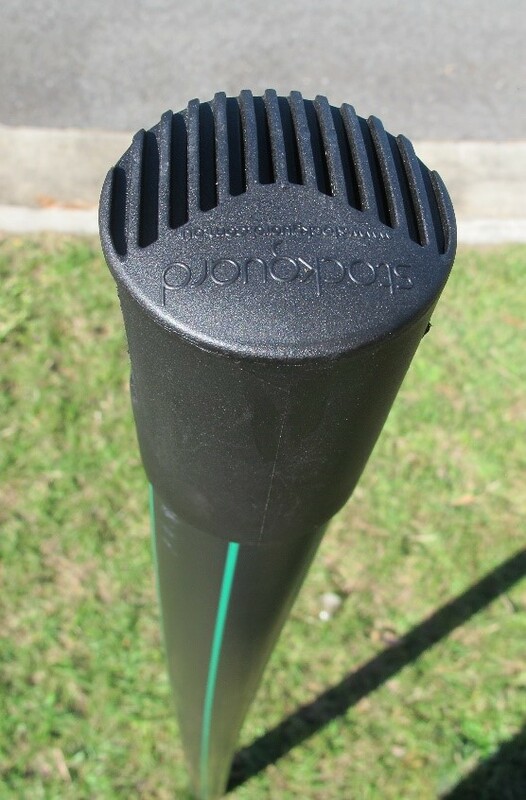 You can see the most common line insulator that our customers prefer for wooden posts in Image 1 above, the F8. These can be matched to the colour of the tape you have chosen. 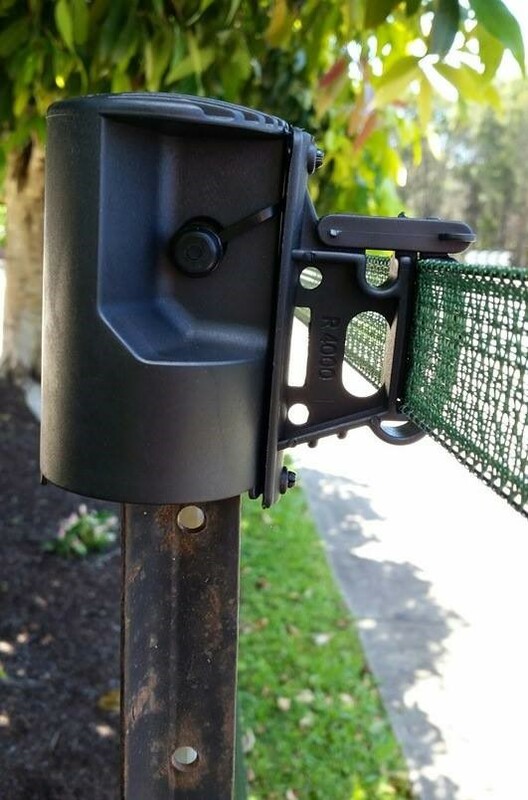 The F8 is secured to the wooden post with 2 screws (provided) that just need a cordless drill. There are 2 alternatives to this coloured fitting, the CR40 and F16V (see Image 3 and 4) however, they both only come in black. 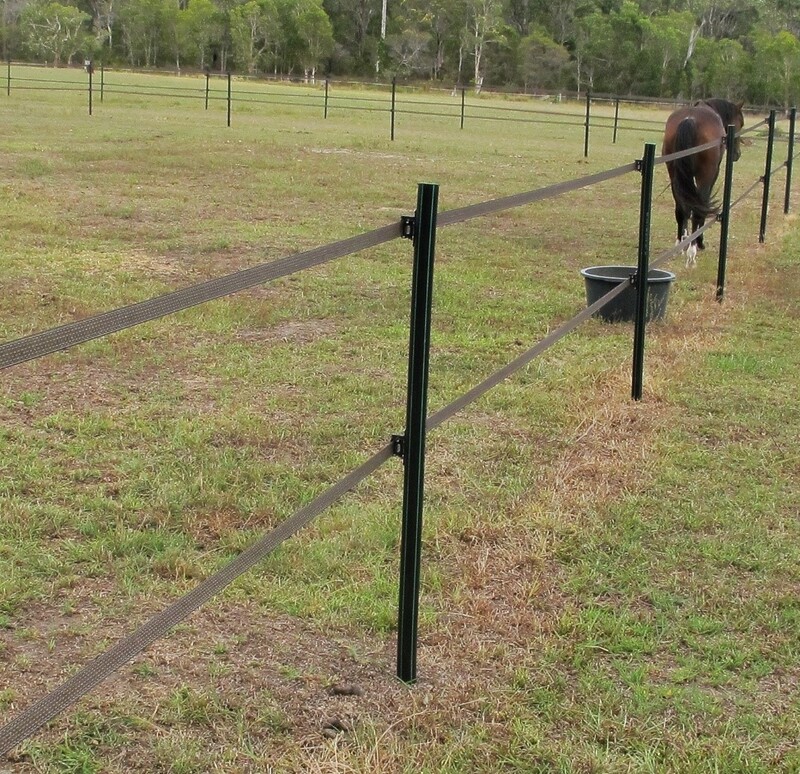 Poly over star pickets can be a good option if you don't have the will or means to dig holes for every single post. Bang in the pickets, cut the poly pipe to length (50mm poly is generally used) and slide over the top of the picket. 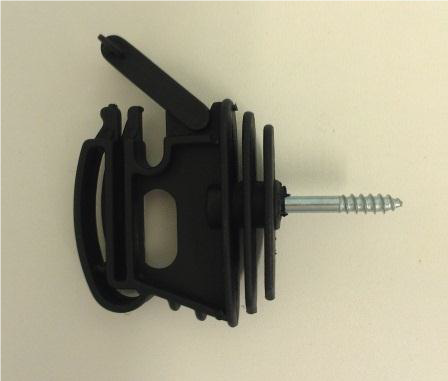 Enough of the picket is left sticking out of the top in order to secure the StockGuard Cap (Image 7) to the picket, while any lower line insulators (F16V - Image 4) are attached to the poly only. Bare star pickets can be really handy if you just need something quick and easy to set up, and just as easy to pull down and re-use somewhere else. The Stockguard Cap (Image 9) is used for the top run while we have adapted the F8 to fit star pickets for the lower runs. The F8-STAR is pictured in Image 10. See our handy kits here. 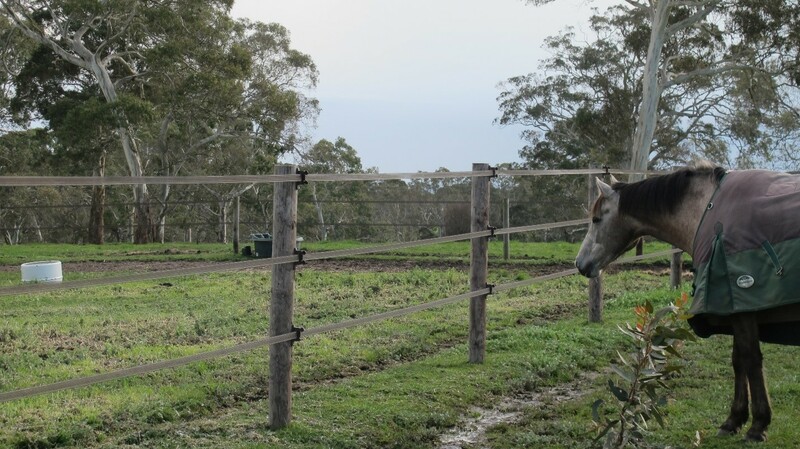 and you have a rough plan of the fence you plan to build, you are now ready to Get a Quote!